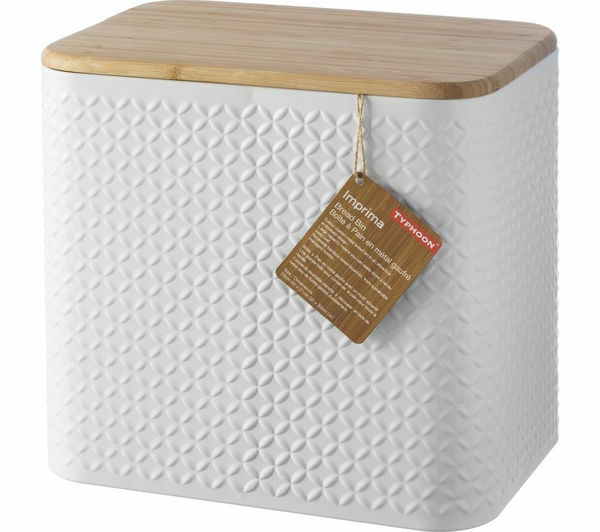 Keep loafs and rolls fresher for longer with the stylish Typhoon Imprima Diamond Rectangular Bread Bin in white. 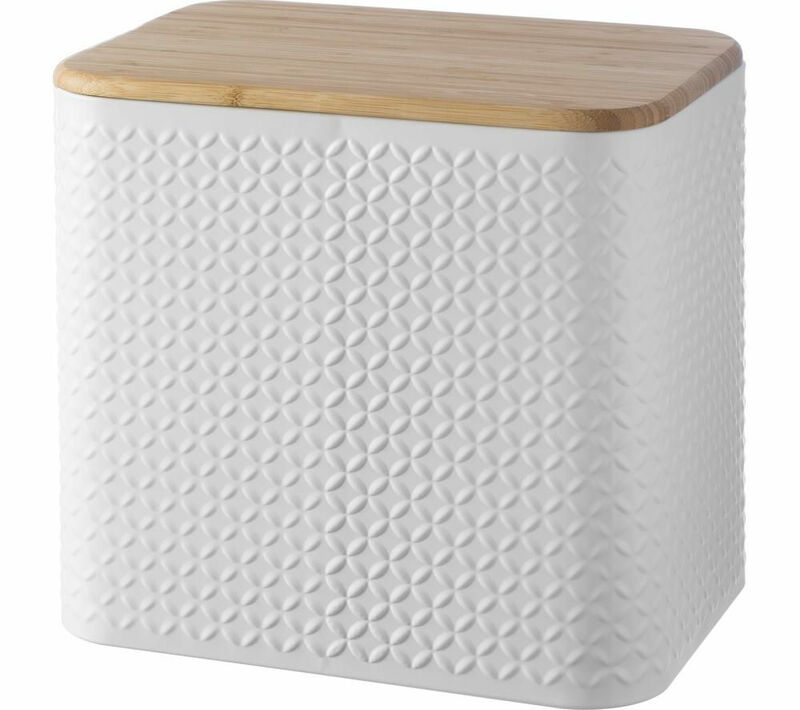 Made from steel with an embossed Imprima Diamond pattern and satin matte finish, this Bread Bin offers a modern design. The environmentally-friendly bamboo lid doubles as a bread board. With contemporary looks, the Typhoon Imprima Diamond Rectangular Bread Bin will become a feature on your kitchen counter. Brilliant size. Good family bread bin. Holds plenty.